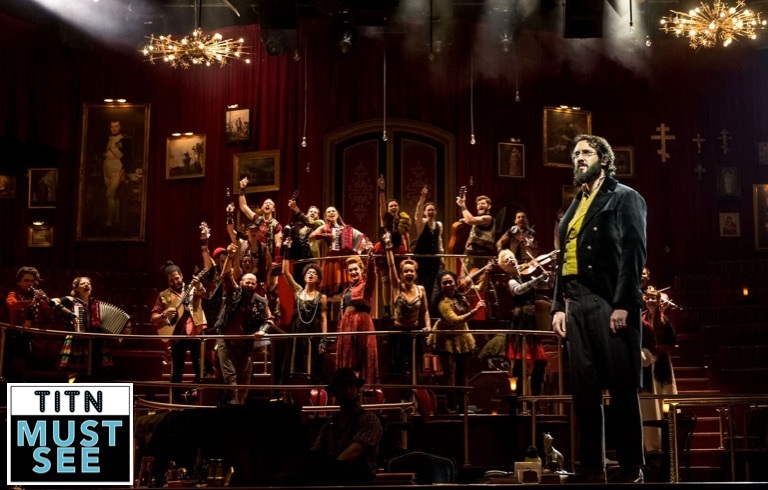 The journey to Broadway was not nearly as long as Leo Tolstoy’s novel, but there's a grand coronation for the arrival of Dave Malloy's astonishing Natasha, Pierre, and the Great Comet of 1812. From a beautifully ambitious production at Ars Nova to the Great White Way, Natasha, Pierre, and the Great Comet of 1812 is continuing to change the mold of what can be done on Broadway. Inspired by part of Tolstoy's “War and Peace,” Natasha, Pierre, and the Great Comet of 1812 is an electropop extravaganza you never knew you needed. If you're curious as to what an electropop opera is, “The Duel" is your answer. Dave Malloy creates a classical sound with a hint of electronic music, blended together to please the ear in ways you never imagined. 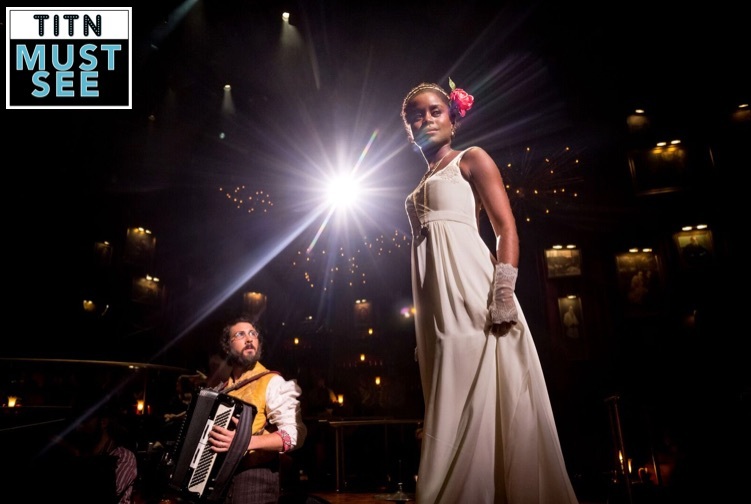 With a sweeping score, enthralling players, and the closest thing to immersive theater you'll get on Broadway, Natasha, Pierre, and the Great Comet of 1812 is an inescapable theatrical experience of wonderment that is nothing short of an extraordinary feat. The story of love, lust, and betrayal with the backdrop of war, Malloy's musical has all the ingredients for a romantic Broadway classic, but its execution is reinventing the landscape of theater. But Malloy isn't alone in constructing this exceptional production. Director Rachel Chavkin's visionary exploration of the material elevates it to heights unknown. Whether you know the journey or not, Great Comet, for short, had a triumphant run at Ars Nova with stops Off Broadway in a tent in the Meatpacking District and literally in a lot right next door to the Imperial before heading to A.R.T. in Cambridge. For those familiar with the original concept, Great Comet was a full-steamed immersive dinner theater event. To prepare it for a commercial run, things needed to be changed. Biggest of all, it's no longer a dinner theater extravaganza with borscht shots and players dancing on the table. The participatory feel is still present as Chavkin has her company fully engulfed in the audience, but that is only if you're close enough to the aisle. But that sacrifice, in the grand scheme of the production, is minor. Disappointing, but minor. For those new to the production, you get a fresh experience where music fills the theater completely from every direction. If you're worried about not understanding the plot due to the sung-through style of the score, there's a cheat sheet in your Playbill, and the company spells out everything you need to know in its entirety in the exceptionally brilliant opening. From there, Malloy employs tight harmonies, haunting dissonance, and musical styles galore to bring the epic to life. Rachel Chavkin's reimagining for a bigger stage captured the heart of the show while still maintaining the integrity of the immersive spirit. It's inevitable that you will miss something or someone at some point. But you have to forgive that due to the nature of the endeavor. Even some of those prime seats on stage have some sight line issues. But Chavkin ensures that there is constantly something to look at. The theater is completely transformed with a playground of stairs, ramps, and railings for the giant company to explore. Mimi Lien's transformation of the Imperial Theatre isn't the first talking point the audience has. It's the makeover of the lobby that should get special recognition. Giving each guest the potential to look at every tiny detail inside and out, Lien brought great care and consideration to every wall, seating unit, and fabric. The lighting from Bradley King is top notch. King's visual manipulation through lights was riveting to say the least. Forgive King for blinding you, because the payoff is warranted. If strobe lights are a worry, be warned: King has introduced the club world into the Imperial. Often times, you can look away from a strobe effect for solace, but there is absolutely nowhere that’s not filled with strobes. It’s truly a stimulating moment. Marrying period attire with a modern fit, there was sheer brilliance in Paloma Young's costume design. Each character had a striking personality through texture, fit, and color. From the form-fitting glamour for Anatole to the baggy, lazily clad Pierre to the elegance and purity for Natasha, Young’s execution was exquisite. Nicholas Pope proved the importance of sound design and engineering. To fully engulf the room with sound, Pope went beyond the call of duty. The pulsating beats and eardrum-bursting flares captured the essence of the experience. This show lives and dies through its ensemble. From top to bottom, Natasha, Pierre, and the Great Comet of 1812 has one of the fiercest companies on Broadway. There is nothing easy about this production. Just look toward those actors carrying their instruments as they race around the theater. When it comes to the characters though, the women dominated. As Natasha, Denee Benton makes a celebratory Broadway debut. Benton has a stunningly pure vocal with a glorious pop. Mixing innocence and elegance, she crafted a Natasha that floated with naivety and grace. Don’t be surprised if Denee Benton picks up some hardware this award season. With an array of musical stylings, the supporting women delivered. The gruff growl of Grace McLean as Marya satisfied with her confidence and poise. The sultry vocals of Amber Gray as the charmingly slutty seductress Helene brought out the fun of the night. Gray has a knack for characters of this nature. Brittain Ashford as Sonya brought a natural folk sound to the piece. The specificity of her tone and the brilliance of Malloy’s writing allowed “Sonya Alone” to be a standout number of the production. When you have one of the world's greatest vocalists, you let him soar. And Josh Groban soars. Those accustomed to Malloy in the titular part should expect something completely different and equally rewarding. Groban brings buoyancy as the drunken Pierre. Lucas Steele peacocked his way through the theater as Anatole. His strut and demeanor as the overly confident soldier matched the drums accompanying his entrances. If you asked me when I first saw Natasha, Pierre, and the Great Comet of 1812 whether it was a show that should be on Broadway, I would have said absolutely not. It had its place in the tent. It was perfect in that world. I’m glad I was proven wrong. Dave Malloy’s score may be the polarizing element of the production, but no matter how you slice it, this is an experience that many will try to emulate. And rightly so.